Better late than ever... Here's my recap of December's sketchcrawl, which I posted on the 'mother' blog but not here. 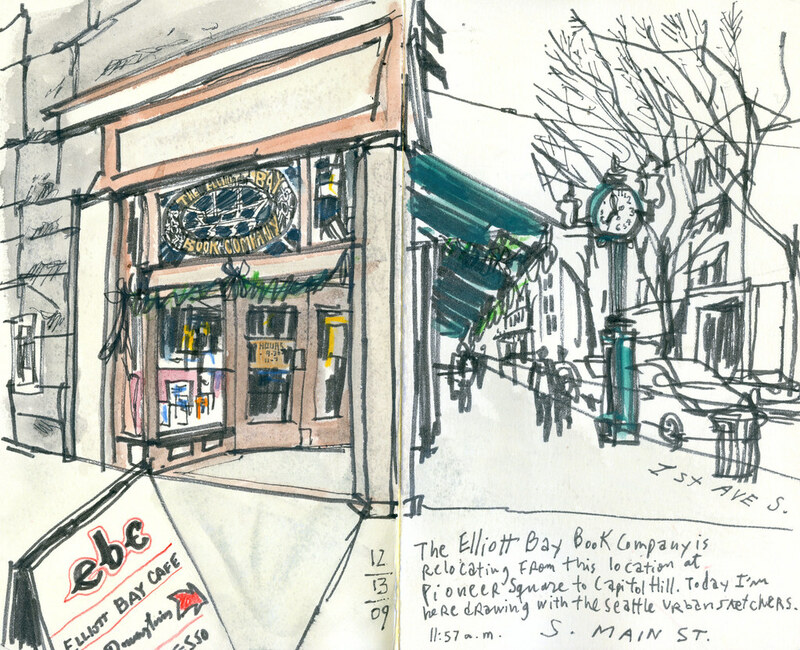 For our December sketchcrawl we met at Elliott Bay Books Company. We chose this location because, after 36 years here, the beloved bookstore is relocating to Capitol Hill. It's pretty sad because the atmosphere will be hard to replicate, and mostly because Pioneer Square will lose one of its most well-known businesses. We met at 10.30 in the morning at the Elliott Bay café on the basement and gathered there again at 1 p.m. for the passing of the sketchbooks ritual. 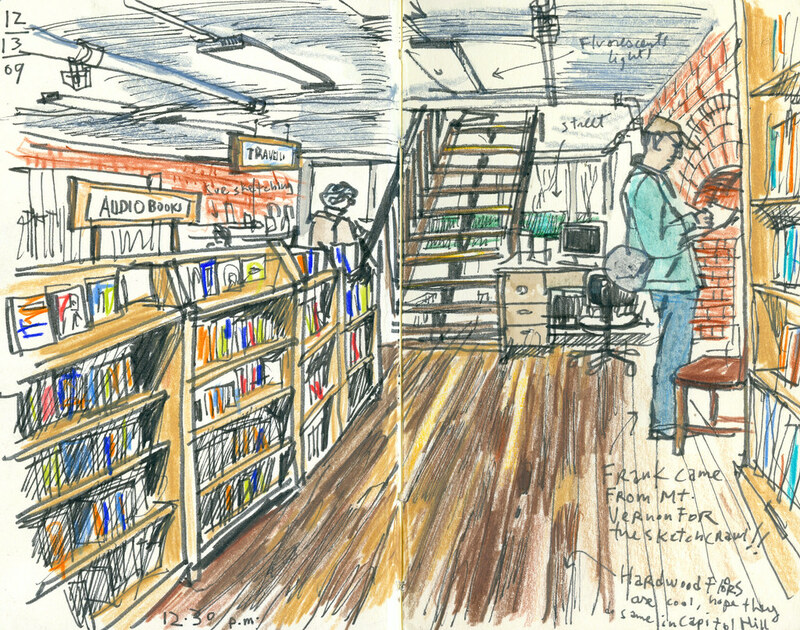 The hardwood floors and brick structure give the bookstore such a warm feel and unique personality. 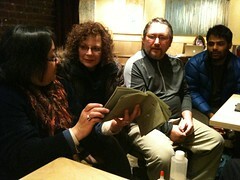 Here I was able to sketch Frank, who drove from Mount Vernon to join our sketch group for the first time. This is a closeup of the entrance. To the right is one of several historic clocks that you can find downtown. When it was time to pass the sketchbooks, the one by Ramesh generated a lot of conversation. We all loved his quick people sketches drawn on a handbound booklet of greenish paper. When it was my turn, I couldn't resist taking a video with my iPhone while I browsed. Ramesh said he has plenty of them just like this one, which he made out of paper he found in the painting supplies aisle at Home Depot!